The five elements Earth, space, wind, fire and water are said to have constituted the Earth. We know that water or H2O is the most important after the air we breathe in, and no life can exist in the absence of water. According to an estimate, water demand will increase by 55% by 2050, and maximum of it, about 70% is utilized in irrigation. We need more clean water for drinking and agriculture, in some areas there is already scarcity of it. To counter the shortage we need methods to convert the unutilized impure water into pure water. One such process is desalination or desalting. 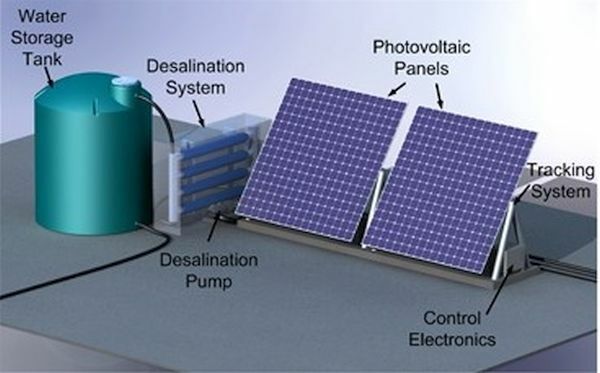 The process of getting rid of the salt and minerals from saline water to obtain fresh water is known as desalination. More than 16,000 desalting plants exist worldwide, which provide fresh water to millions of people. With Israel being the leader in converting seawater to fresh water, nearly 40% of the country’s fresh water is desalted. Since there is high power consumption in the process of converting seawater into fresh water, the method is expensive to employ. The need of the hour is to produce fresh water in a cost effective way. 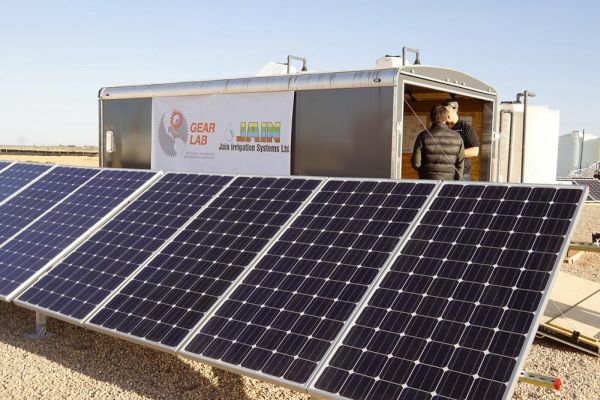 Jain irrigation Systems and Massachusetts Institute of Technology have collaborated and invented a way of converting salty water to fresh water, fit for drinking, using solar power. The method is cost effective as it is created to consume less power. Additionally, it is a boon for locations around the world, where electricity is not produce in abundance. The use of renewable energy ensures eco-friendly results. Ample solar energy is available to our planet. Employing solar power to run systems and mechanisms is a smart choice, as the resource has no chance of being depleted. “Photovoltaic-Powered Electrodialysis Reversal System,” is the name given to the technology developed by MIT and Jain Systems. The United States department of interiors (USID) has given its $140,000 Desal prize to the system collectively developed by the two organizations. According to USID, “the Desal Prize was developed to supply catalytic funding to capture and support the innovative ideas and new technologies that could have a significant impact”. Now, what is electrodialysis? Water is passed through two oppositely charged electrodes, the salt contains positively and negatively charged ions, which are attracted by the electrodes. There are membranes in place to isolate the fresh and salty water. The brilliance of the technology is that it eliminates fertilizers, chemicals, microbes and even the hardness from impure water. Remarkably, the process recovers 90% pure water. According to Jain System’s vice president of Landscape Solutions, Richard Restuccia, brackish water can be used to cultivate millions of hectares of barren land by this technology. Reverse-osmosis is another process to purify water, which utilizes a semi-permeable membrane to separate impurities from water. In the reverse-osmosis system, the power consumed to purify water is almost double when compared to electrodialysis reversal system. Jain systems being an Indian company has already tested the electrodialysis system in many villages of India. As per the findings of MIT and Jain Systems, the project can produce fresh water for the consumption of more than 2,000 people. Earlier too, there have been attempts to desalt water using the Sun’s energy but the projects weren’t successful due to the high energy requirement and high cost involved in setting up the plants. With the inventions of technologies, which are more cost effective, environment friendly and make use of renewable energy, the scarcity of fresh water especially in the remote locations of the world will be minimized.